Jody got his inspiration for these playing cards from a documentary on the History channel called, “The Men Who Built America“. In that documentary the stories of John D. Rockefeller, Cornelius Vanderbilt, Andrew Carnegie, Henry Ford and J.P. Morgan were told. He was so impressed that decided to design the Inventors series of playing cards devoted to “…the spirit that these kind of men and women demonstrated…”. 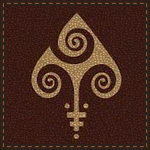 Queens of a playing card deck made Jody to step aside from the concept of men building anything, and resigned him to emancipation. Well, he behaved like a perfect gentleman. So, now we can find out from this deck that even tender lady’s hands (brains) can make this Earth to revolve on its axis quicker. Mr. Eklund remained true to his style of designing playing cards. These playing cards will have nice graphic artworks featuring appropriate famous people in their courts. 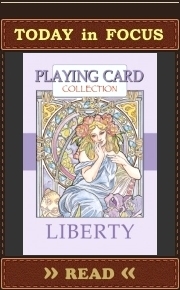 Each above mentioned edition will have different backs of playing cards and different tuck cases. Court cards, aces, Jokers and number cards will be the same. The fronts of Standard and Black Ed. tuck cases feature Ford T-Model. It is also featured on the Ace of Spades – read below. Backs of these two Editions also have a wheel as the central element of the design. And this is a little bit strange because these cards aren’t devoted only to “transportation”. Maybe four different decks instead of four above mentioned thematic suits (Illumination, Transportation, Communication, Aviation) could be more organic. But tuck cases as well as persons featured in the playing cards are as they are. 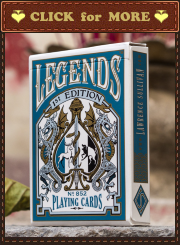 Will be printed by the Legends Playing Card Company (LPCC) – Classic Finish. This project will be funded on Tue, Apr 7 2015 9:00 PM.